This beautiful family just welcomed their second daughter to the family. Yes, that means that this blog post is a little behind current events! I am so happy they made the trip to the Wigglebug studio in DeKalb, IL all the way from Rockford, IL . This will be the C family's second baby planner baby. I recently had the pleasure of photographing Miss F's second birthday. I also got to photograph the moment when they found out they were having a girl!! Such a fun session. This session tuned out even more spectacular than I had hoped. Sarah looks so stunning in this red gown. The pink gown was perfect with my cosmos. I was a little less thrilled with my cosmos this year. They did not bloom until fall... LATE fall! However the fall colors were perfect this night and really made the dresses from the Wigglebug dress collection pop! 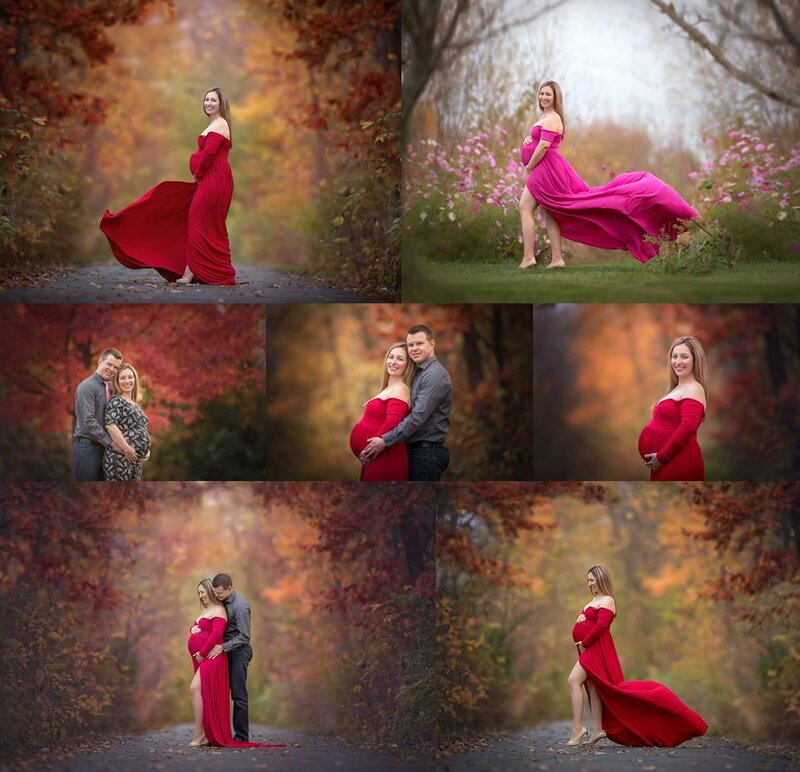 Maternity photos are some of my favorite photos to shoot. I just love how empowered and beautiful they make the mammas feel. 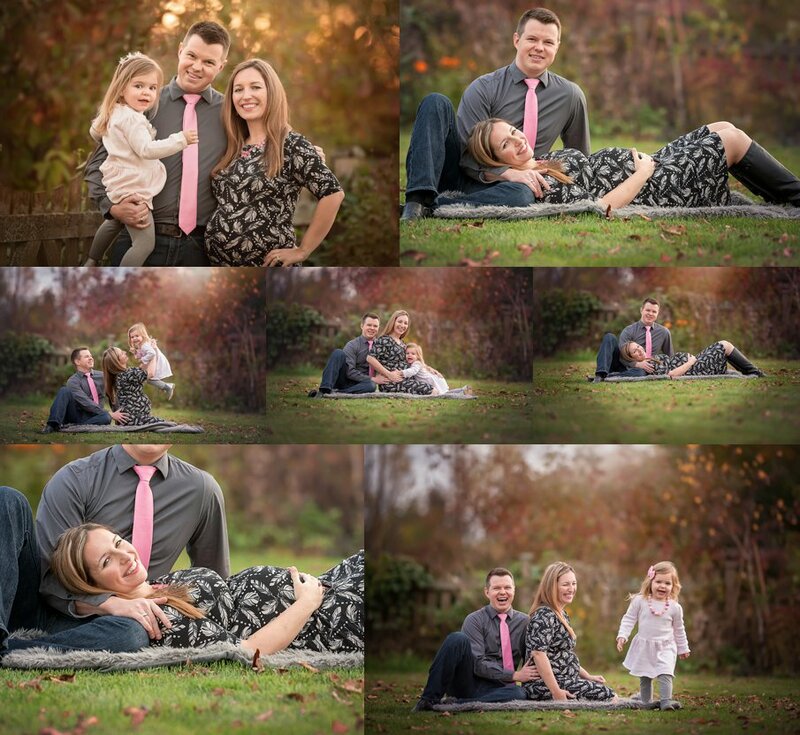 Here are some of my favorites from this amazing session.